The Hampton Nautical 7” Brass Spyglass is a great gift for the young nautical explorer in your life. This small brass spyglass is pocket sized, at 3.5" when collapsed and 7" when fully expanded. The handle of this spyglass is a stitched dark brown leather. This spyglass also comes with a solid brass cap to protect the lens. Simply adjust the telescope tube length to bring the image into clear focus. 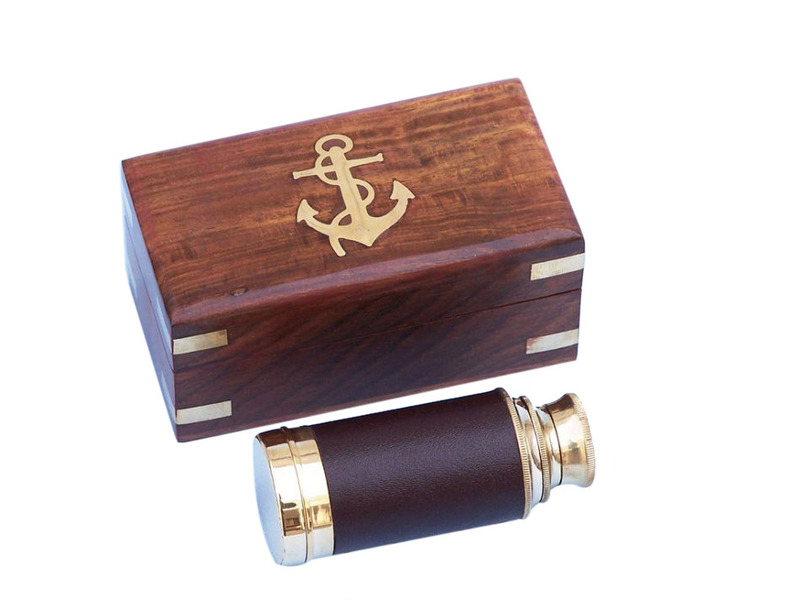 The 7" spyglass is shipped in a beautiful felt-lined, brass-inlaid hardwood case. 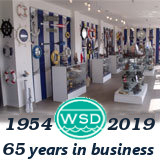 The box is smooth hardwood, gloss finished, featuring brass side inlets on all sides and the Hampton Nautical solid brass anchor-with-rope logo on the top. Liven up your den or living room with this one of these fabulous brass telescopes for sale. With a historically beautiful design, this telescope spyglass changed the history of sailing and brings a breath of fresh sea air indoors with its elegant style. From the grand Royal Navy to the most dashing pirates of the time, the pirate spyglass telescope is as much a symbol of life on the high seas as it is a essential navigational tool. With its gleaming solid brass design, the telescope spyglass makes an elegant statement in any room of the house, displaying your love of nautical style and history. Enjoy this telescope spyglass, and treasure it as much as the sailors of lore did, as a symbol, a tool, and a trusted friend.